Listen with pleasure to every conversation about God and never miss a wise proverb! 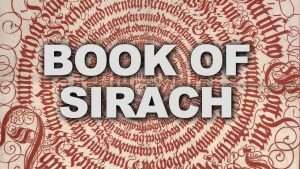 The Lord Yeshua HaMashiach, YHWH, Jesus Christ of Nazareth, encourages and teaches you through this message, from the Biblical scripture Sirach, which is full of wise proverbs and words. 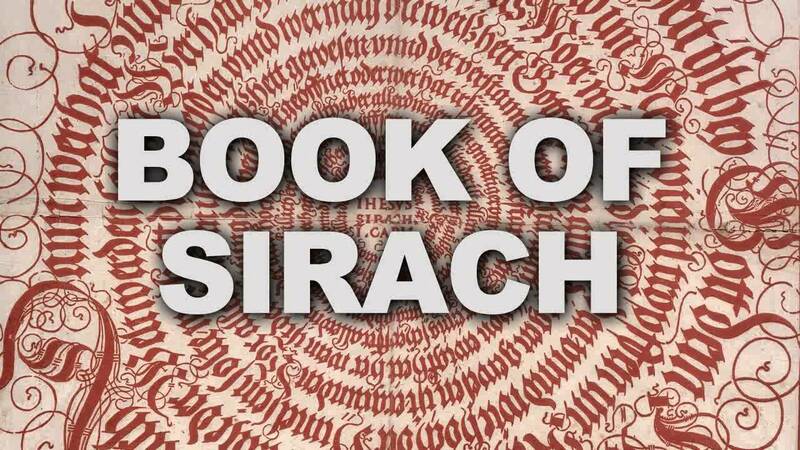 Sirach has been fully approved by the Lord Jesus Christ! You can clearly hear what YHWH, Yeshua HaMashiach, finds honorable and what He is looking at, also with you! Hello, welcome! The following message was delivered on October 25th, 2016, by the messenger angel of God to Prophet Benjamin Cousijnsen. Verily, who yet listens to the sound, which is the full truth? Sirach 10, verse 19 to 21 Who deserves honor? The human race does, because people fear the Lord. Who does not deserve honor? The human race does not, because people break the Lord’s commands. A leader should be honored by those who follow him, and the Lord honors those who fear him. Success begins with fear of the Lord, but failure begins with stubbornness and arrogance. Because Yeshua HaMashiach, YHWH, is the Light of the world, and would like you to have reverence for Him, because He has that for you too. Sirach 10, verse 26 to 29 When you do your work, don’t make a show of your skill, and don’t try to put on a show when you are in trouble. It is better to work and have more than you need than to go around boasting but hungry. My child, keep your self-respect, but remain modest. Value yourself at your true worth. There is no excuse for a person to run himself down. No one respects a person who has no respect for himself. And verse 5 to 9 The success of that person is in the Lord’s hands. The Lord is the source of the honor given to any official. Don’t be angry with someone for every little thing he does wrong. Don’t do anything out of injured pride. Arrogance and injustice are hated by both the Lord and people. Injustice, arrogance, and wealth cause nations to fall from power, and others then rise to take their place. We are only dust and ashes; what have we got to be proud of our body decays even while we are alive. that He is kadosh, holy and righteous, and loves His children, and does not look at the highly placed and the outer beauty, or clothing, and so on. No! And He also doesn’t like conceit and pride. Verily, wisdom elevates the humble, and a sensitive heart is for the Lord more than a closed heart for Him. God is great and mighty, and asks you to be faithful, even in your promises. Live up to that toward Him! He remembers your promises and will get back to it. Sirach 12, verse 1 and 2 When you do a good deed, make sure you know who is benefiting from it; then you will be thanked for what you do. You will be repaid for any kindness you show to a devout person. If he doesn’t repay you, the Most High will. Verily, love your neighbor as yourself, and give what belongs to the Lord! Sirach 5, verse 1 to 8 Don’t rely on money to make you independent. Don’t think you have to have everything you want, and then spend your energy trying to get it. Don’t think that no one can exercise authority over you; if you do, the Lord is certain to punish you. Don’t think that you can sin and get away with it; the Lord does not mind waiting to punish you. Don’t be so certain of the Lord’s forgiveness that you go on committing one sin after another. Don’t think that his mercy is so great that he will forgive your sins no matter how many they are. He does show mercy, but he also shows his furious anger with sinners. Come back to the Lord quickly. Don’t think that you can keep putting it off. His anger can come upon you suddenly, and you will die under his punishment. Don’t rely on dishonest wealth; it will do you no good on that day of disaster. Verily, Yeshua HaMashiach, YHWH, Jesus Christ, wants you to be blessed, and not be punished because of your sin upon sin. Sirach 6, verse 18 My child, learn to value Wisdom while you are young, and you will still be able to find her when you grow old. Verse 22 Wisdom means just that — wisdom and not many people are able to discipline themselves. Verse 35 Be ready to listen when religious people speak, and don’t miss anything that shows insight. 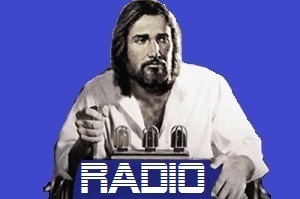 Verily, keep examining yourself and draw strength from the website Evangelicalendtimemachine.com! My name is Blesia and I am a messenger angel of God. ⟵Robot alang sa kaulag gipuli sa partner!